On Tuesday a gutsy group from Coreco, dubbed the Coreco Climbers, took part in Vertical Rush for the charity Shelter. They scaled dizzy heights, running up 932 steps of the London skyscraper, Tower 42 all to raise money for the charity (that’s not to say it didn’t get just a little competitive). Shelter ensures that no one has to face poor housing and homelessness alone and overall so far the event has raised over £350,000 with 1,005 runners taking part in total. 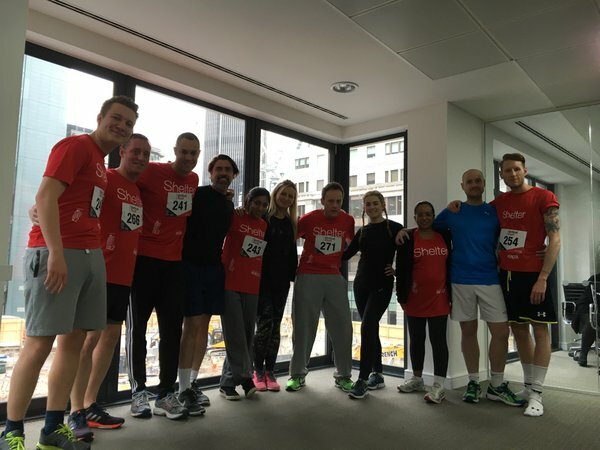 With several of the team tackling the 932 steps in just over 7 minutes it was a sterling effort by all at Coreco and the team have so far raised £850 for the charity with donations still coming in. Rob Gill, one of our directors and the Coreco Climbers organiser, said “We’re very proud of our 11 Coreco Climbers who made it to the summit of Tower 42, posting some amazing times and supporting a great cause. We couldn’t agree more and we’re all very proud of the Coreco gang, not only for competing but for the money they have raised for Shelter. Now it’s time to start taking the stairs in preparation for next year!